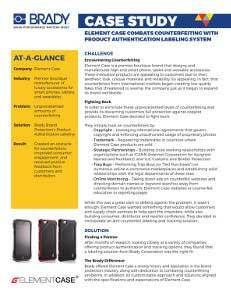 Brady identifies and protects products, people, and premises with high performance labels, industrial label printers, software, safety & facility identification, spill control, Lockout Tagout solutions and more. Brady helps you create and maintain safer work environments and comply with regulatory standards. Our high-performance materials clearly identify products, components and other assets, even in the most extreme conditions.